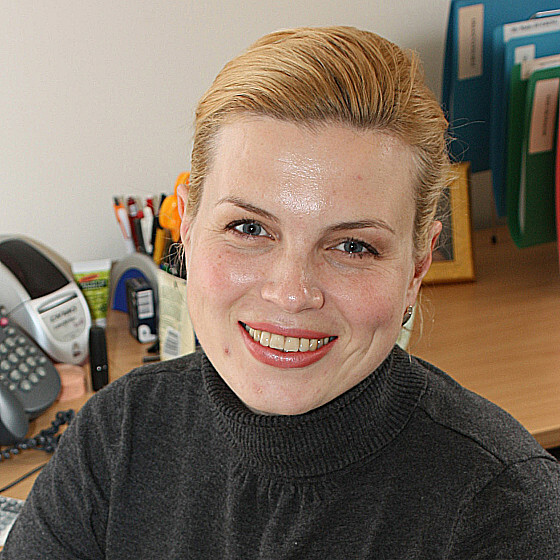 Anna is an Adjunct Associate professor in RSPE. After completing a BSc in Physics and Philosophy at the University of Bristol and a PhD in nuclear physics at the University of Liverpool, Anna held post-doctoral research positions in the US, France and UK. She came to Australia in 2001 to work in ANU's Department of Nuclear Physics, and started teaching in our undergraduate program in 2003. Because she was enjoying teaching and thinking about how to improve student learning so much, she completed a Graduate Certificate in Higher Education in 2006 and a Master of Higher Education in 2008. She is the recipient of several teaching awards, including a Citation for Outstanding Contributions to Student Learning and an Award for Teaching Excellence from the Australian Learning and Teaching Council. Anna has held various joint positions with the ANU's Centre for Educational Development and Academic Methods (now CHELT) and the University of Canberra's Teaching and Learning Centre, where she is also an Adjunct. She held the post of Deputy Director (Education) of the Research School of Physics and Engineering prior to leaving the ANU and returning to the UK. She now works in the Oxford Learning Institute at the University of Oxford. Research-led education has become a touchstone or catch-call for research-intensive Universities worldwide. While there are many ways in which education can become "research-led," many Universities attempt to provide undergradaute students with an immerive research experience, in order to expose them to research activities they might otherwise be unaware of, to develop research skills and to give them a taste of what it is like to do research (and potentially recruit them into research degrees). Although both staff and students are generally enthusiastic about such undergraduate research experiences (UREs), several questions about there design, delivery, effectiveness and impact remain. Anna has been working with her colleague Susan Howitt (Research School of Biology) to study the experiences of staff and students involved in the ANU's unique Bachelor of Philosophy program, which provides students with between 3 and 6 UREs over the course of their 3 year undergraduate degree. Anna and Susan are currently looking at how reflective writing acn be used to enhance and assess learning outcomes from these projects. She holds an ALTC Innovation and Development Grant to continue this research with colleagues from the University of Western Sydney and the University of Canberra. The notion of disciplinary threshold concepts - concepts which are by their nature usually both potentially transformative and troublesome to learn - has gained increasing currency in academic circles. Anna has been working with Professor Gerlese Akerlind to look at ways in which threshold concepts can be used as foci for curriculum design. This research takes as its starting point the idea that crossing the threshold corresponds to a shift to a more sophisticated conception of the particular idea. We are using a phenomenographic approach, based on interviews with students, to identify and characterise different conceptions of the same idea - uncertainty in physics, legal reasoning in law, and professionalism across disciplines. Our analysis helps to reveal the different dimensions of the concept, and so shows where students may encounter problems in moving from a less to a more sophisticated understanding. This research is funded by the Australian Learning and Teaching Council. While Anna is not a specialist in educational technology, she is interested in how new technologies can be used to offer access to different and new perspectives to students. She is currently working on a project (ARStudio) based at the Universty of Canberra and involving ANU and Macquarie University investigating how augmented reality can be used to develop and expand students' udnerstanding of disciplinary conceptions. The above specific research interests form part of a borader interest in the ways academics and students experience learning and teaching: that is, what they think they're doing, why and how they experience it. Anna is particularly interested in what motivates people to teach and to learn. She is currently undertaking research into what benefits academic physicists perceive themselve as accruing from their teaching activities. Anna has a long history of research in gamma-ray spectroscopy. Her research has focussed on teh structure and properties of atomic nuclei at high angular momenta and with large deformations. In particular, she has led research on the properties of so-called superdeformed nuclei (in the mercury/lead region), and on searches for evidence of hyperdeformation.